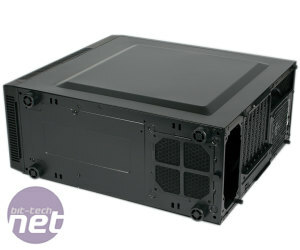 Corsair has never had a particularly large presence in the budget case market, instead focussing its efforts on the mid-range and high-end segments, often with much success. Nonetheless, we did see the Carbide 200R just over two years ago, and last year the Carbide Spec range was launched – we ourselves saw the sub-£40 Spec-01. Now, Corsair is back again, this time with the Carbide 100R, which brings much of what the Spec series offered into a classic Carbide design that's cleaner and almost inarguably better looking. 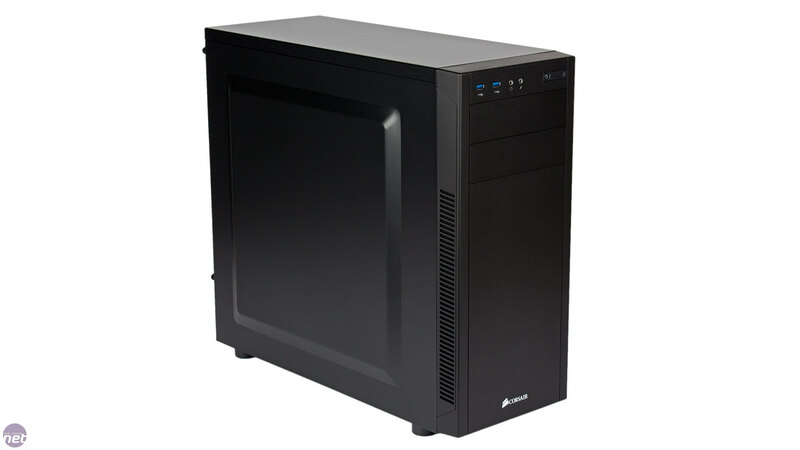 Sure, it can easily be described as just another black box, but anything more extravagant in this price bracket can all too easily end up looking more plastic toy than PC case. The 100R will be available as a standard, windowed edition for around £40, or as this, the Silent Edition, for about £10 more. 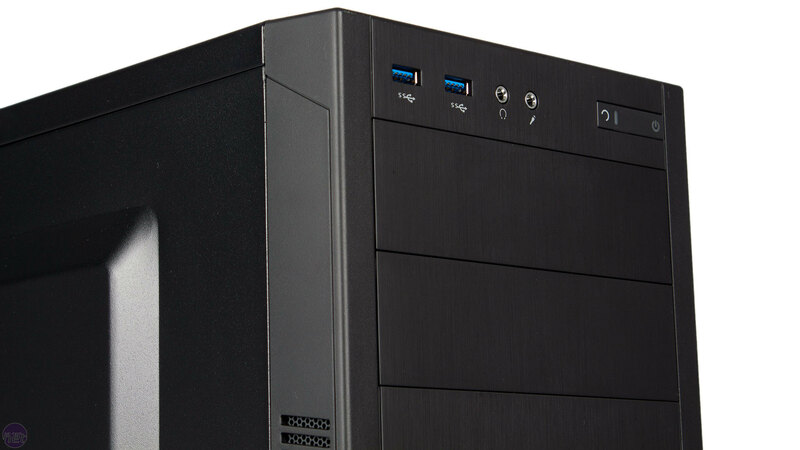 It's often easy to level praise at a Corsair case for its build quality, and thankfully the company hasn't let that slide in the journey to £50 and below. The front panel and two ODD covers are plastic, but the brushed metal finish looks decent and the panel is held firmly in place and doesn't squeak or bend too much when pressed. Elsewhere it's steel and more steel – the roof is riveted in and the two panels are secured well, so the 100R is a solid little unit overall. It's good to see a pair of USB 3 ports too – there's very little excuse for not including this on all but the cheapest of cases these days. 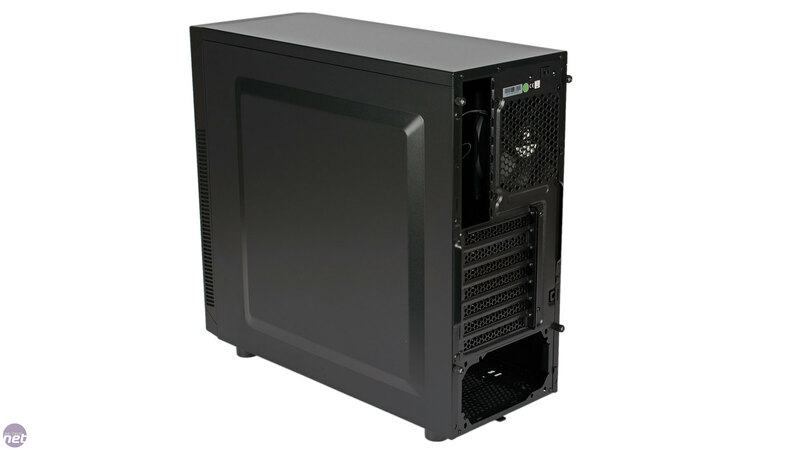 For a case of this size, the position of the basic I/O panel is the best compromise between users who want their rig on the floor and those who want it at desk height – it should prove easily reachable in both situations. 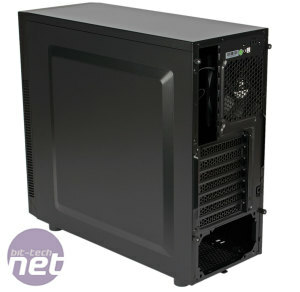 There are no fan mounts on either side panel, which are identical and both feature large extruded sections. 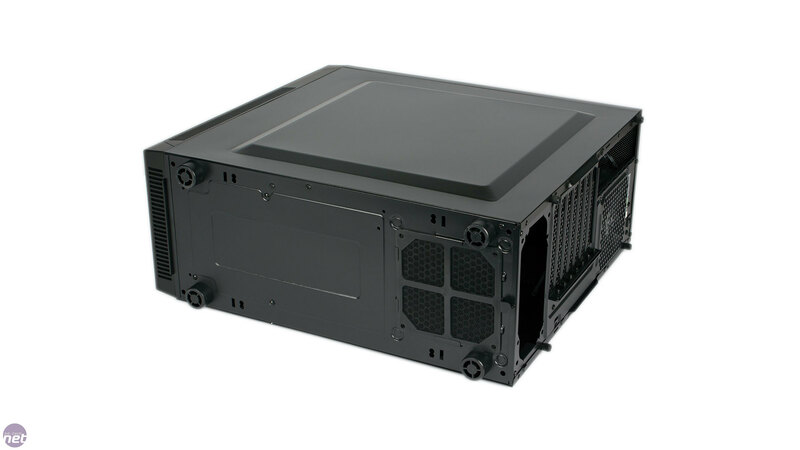 Likewise, there are zero fan mounts on the roof or floor, so don't expect too much from the 100R Silent Edition when it comes to cooling. 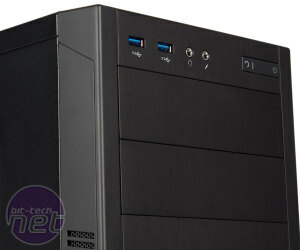 Where the case does have fan mounts is in the front and rear. 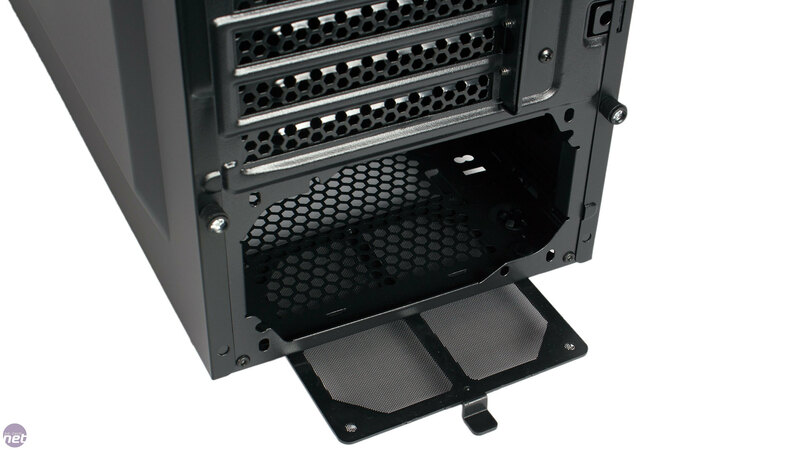 With one 120mm fan supplied for the top front mount and one for the rear mount, there's only one mount remaining for future upgrades (the lower front one). 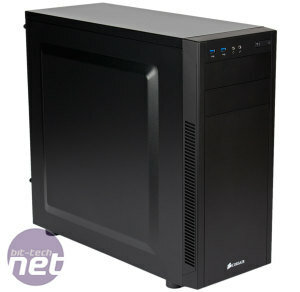 The standard 100R has two extra 120mm fan mounts in the roof, but ships with only the rear exhaust fan. The front fascia is solid, so airflow to the front will be even more limited, though vents down the sides and along the bottom of the front panel, which are backed by some basic, non-removable dust filtering material, provide a way for some cool air to enter. 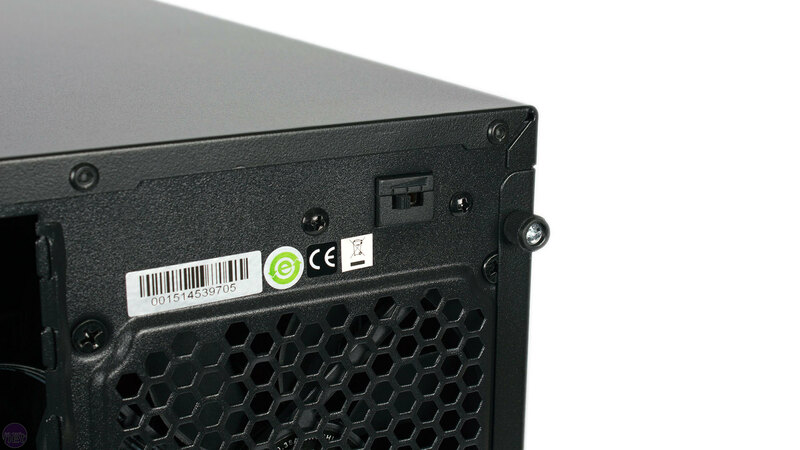 Round the back we find seven expansion slots with screws that make them reusable. 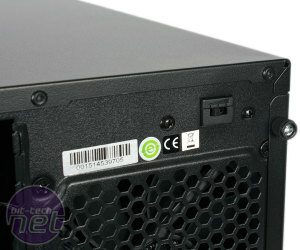 Impressively, Corsair has also included a fan control switch here (not included on the standard edition), allowing you to toggle up to three fans between 12V, 7V and 5V. It certainly would have been better for this to have been included on the front panel for easier access, but it's still great to see in such a low cost case. Finally, flipping the 100R over reveals a set of four plastic feet, and a slide out dust filter for the PSU. That said, you will need to lift or tilt the chassis to give you enough clearance to use this, especially when replacing it.